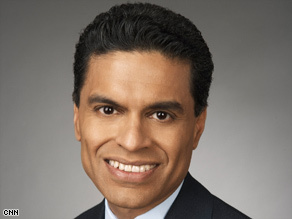 Editor's note: Fareed Zakaria is a foreign affairs analyst who hosts "Fareed Zakaria: GPS" on CNN at 1 p.m. ET Sundays. NEW YORK (CNN) -- The future of the U.S. auto industry was in doubt Friday after a proposal for $14 billion in federal loans died in a late-night Senate vote. The Senate voted 52-35 to bring the measure up for a vote -- short of the 60 votes needed to advance the legislation. The failure followed the collapse of negotiations between Senate Democrats and Republicans seeking a compromise that all parties, including the auto companies and the United Auto Workers union, could accept. The dramatic late-night developments could doom General Motors to bankruptcy and closure in the coming weeks, with Chrysler LLC potentially following close behind. While Ford Motor has more cash on hand to avoid an immediate crisis, its production could be disrupted by problems in the supplier base, as could the production of overseas automakers with U.S. plants, such as Toyota Motor and Honda Motor. CNN spoke to world affairs expert and author Fareed Zakaria about a potential bailout. CNN: Is a bailout of the U.S. automotive industry necessary? Zakaria: There are really two different U.S. auto industries. And only one part of it would have qualified for the bailout that was just rejected by the U.S. Senate -- the inefficient part that is headquartered in Detroit. There is another auto industry in the United States and it is healthy. While it is obviously going through tough times because of the economic crisis, it has not gone begging to Washington for taxpayer help. Zakaria: Actually there are 12 international car companies that have manufacturing operations in the United States. Collectively, they employ 113,000 Americans directly -- even though that is less than the 239,000 at Ford, GM and Chrysler. However, those international car companies sell more cars than the Big Three and their customers love their products. They have millions of American shareholders. They do sophisticated work like research, design and marketing in the United States. All in all, they add jobs and high value to the United States. CNN: So what are they doing better than the U.S. car companies? Zakaria: It is simple -- better management. Yes, Detroit has problems because of its legacy costs, the cost of paying health care and pensions to its retirees. But many other Americans firms in other industries have had to change their benefit systems or die. Detroit always managed to avoid making the change in part because of government assistance. But companies like Toyota, Honda, and BMW are not just skilled at cutting costs -- they make better cars. They have more flexible factories and production systems, and understand what American consumers want. For example, Toyota and Honda are years ahead of American carmakers in designing and producing hybrid cars, and as consumer demand moves in that direction, they will reap the rewards. Al Gore remarked on the problem on our show a few weeks back. "It's really tragic that General Motors, for example, allowed Toyota to get a seven-year head start on the hybrid drive train in the Prius that is now positioned to really be a dominant feature of the industry in this century." CNN: But aren't the Big Three saying they will restructure to compete with their foreign competitors? Zakaria: Yes, as in the past, now that the heat is on, Detroit has been promising to change its ways -- as long as it gets cash. But many people are skeptical and think of it as just a jobs program. CNN: So you are against the bailout? Zakaria: No. But the reasons the CEOs of Ford, GM and Chrysler present -- that they will restructure, they are still competitive, they will change -- are bogus; they won't. The best argument for the bailout is that it is the most cost-effective jobs program that the government can run in the short term. Spending on infrastructure to create jobs will take months, maybe years. However, keeping the Big Three afloat will keep hundreds of thousands of jobs in place quickly and easily. It's true the companies will eventually go bankrupt, but by then hopefully the economy can withstand it.